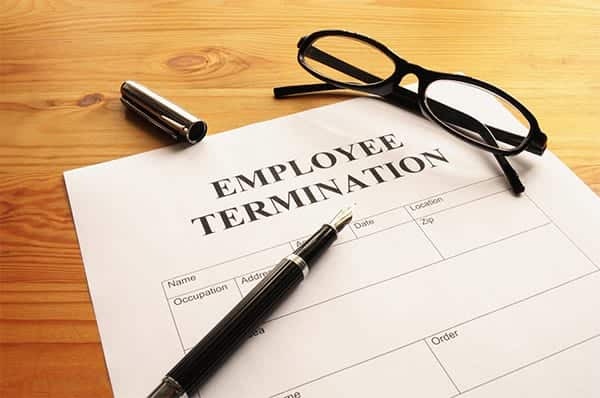 According to Saudi Labor Law Article (80), An employer may not terminate the contract without an award, advance notice or protection against a loss, except in the following cases, and provided that he gives the worker a chance to state his reasons for objecting to the termination. 1. If, during or by reason of the work, the worker assaults the employer, the manager in-charge or any of his superiors. 2. If the worker fails to perform his essential obligations arising from the work contract, or to obey legitimate orders, or if, in spite of written warnings, he deliberately fails to observe the instructions related to the safety of work and workers as may be posted by the employer in a prominent place. 3. If it is established that the worker has committed a misconduct or an act infringing on honesty or integrity. 4. If the worker deliberately commits any act or default with the intent to cause material loss to the employer, provided that the latter shall report the incident to the appropriate authorities within twenty-four hours from being aware of such occurrence. 5. If the worker resorts to forgery in order to obtain the job. 6. If the worker is hired on probation. 7. If the worker is absent without valid reason for more than twenty days in one year or for more than ten consecutive days, provided that the dismissal be preceded by a written warning from the employer to the worker if the latter is absent for ten days in the first case and for five days in the second. 8. If the worker unlawfully takes advantage of his position for personal gain. 9. If the worker discloses work- related industrial or commercial secrets.